The body of five-year-old Mesut Akçabay, who went missing along with his mother and two other siblings on July 19 when the boat carrying them capsized, was found in the Evros River on Thursday. 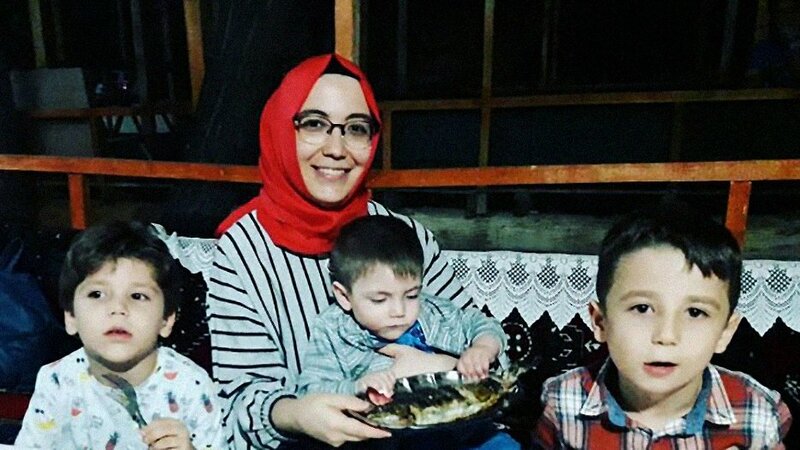 The Akçabay family — father Murat, mother Hatice (36), children Ahmet Esat (7), Mesut and Bekir Aras (1) — were trying to flee Turkey and reach Greece due to an ongoing government crackdown on followers of the Gülen group. When the boat capsized only Murat Akçabay managed to reach Greek side of the river, while the four other family members went missing. The bodies of Hatice Akçabay and Bekir Aras, were found on the Turkish banks of the Evros River on July 20. The woman was still holding her baby when their bodies were found. Search and rescue efforts have been ongoing since July 19 to find the other two children. On Thursday, Greek fishermen found the body of the second child, Mesut, along the Evros River. Thousands of people have fled Turkey due to a massive witch-hunt carried out by the Justice and Development Party (AKP) government against the members of the Gülen group in the wake of a failed coup attempt on July 15, 2016. The government accuses the group of masterminding the coup, although the latter denies any involvement. More than 150,000 people have been detained, and some 80,000 people from all walks of life have been put in pre-trial detention since the failed putsch. Many have tried to flee Turkey via illegal means as the government had cancelled the passports of thousands of people. On Feb. 13, at least three people died and five others went missing after another boat carrying a group of eight capsized in the Evros River while seeking to escape the post-coup crackdown in Turkey.